Archive by category"Lands , Environment & Natural Resources"
Kenya Water Towers Agency today held a Stakeholders engagement workshop for Bamboo Investment and Commercialisation feasibility study for the Counties of Nandi, Uasin Gishu and Elgeyo Marakwet that have partnered to ensure that bamboo factory is established at Elgeyo Marakwet County. The workshop was to let the community know the ecological and economical values of bamboos so as to improve livelihoods of communities. 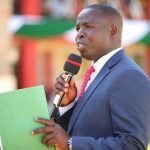 Among the factors considered to make Elgeyo Marakwet suitable include availability of raw materials, good transport system and availability of adequate land. Commercial benefits for bamboos include furniture, beehives, fabric, paper and toothpicks. 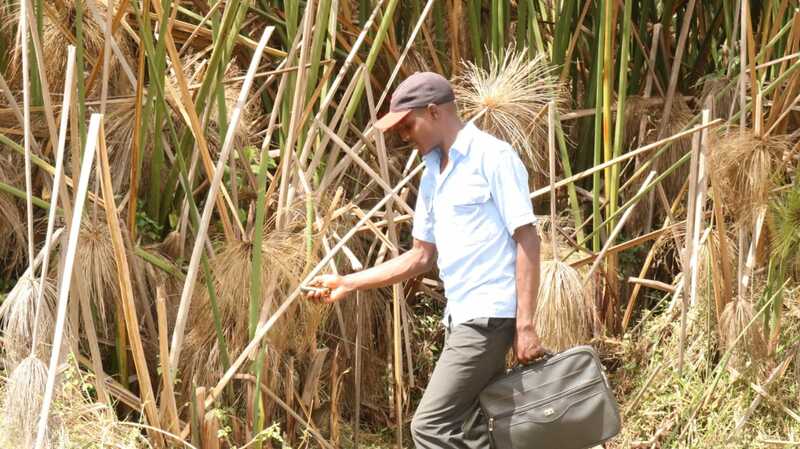 An average of 200 seedlings of giant bamboo can be planted in an acre and if well managed, an acre of bamboo can yield 450, 000 shillings per year per acre. 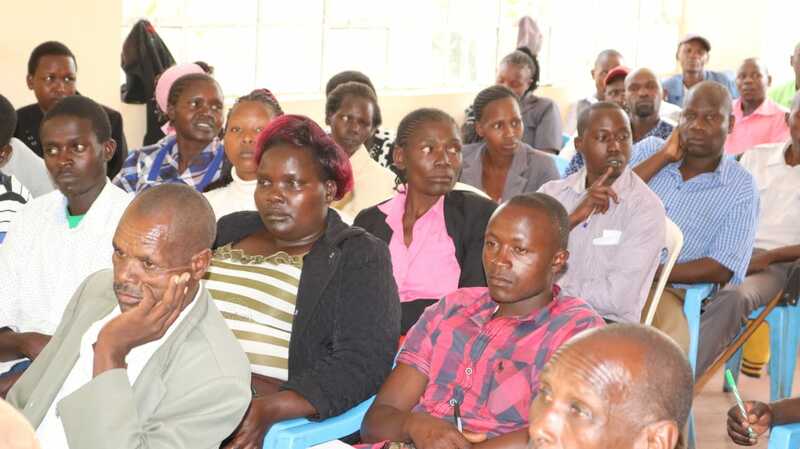 The County Government of Nandi is keen on reclaiming its borders that have been taken over by neighboring counties. 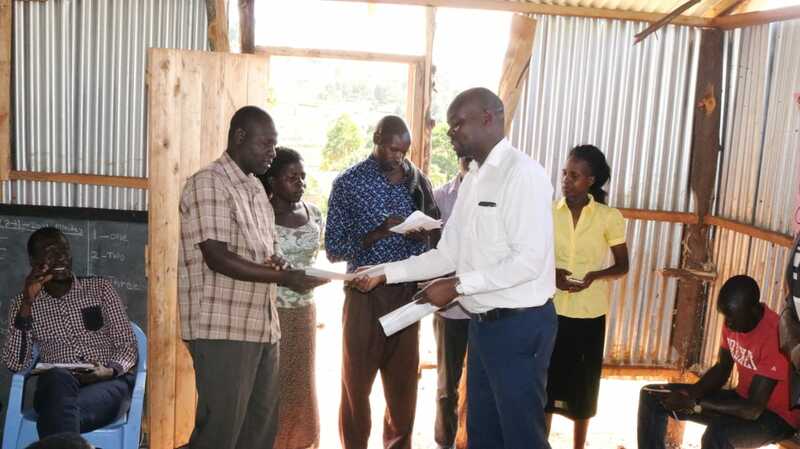 The CECM LENRCC Mr. Baliach visited Kapsengere area in Terik Ward in a bid to get to know the boundaries bordering Nandi, Vihiga and Kisumu Counties. 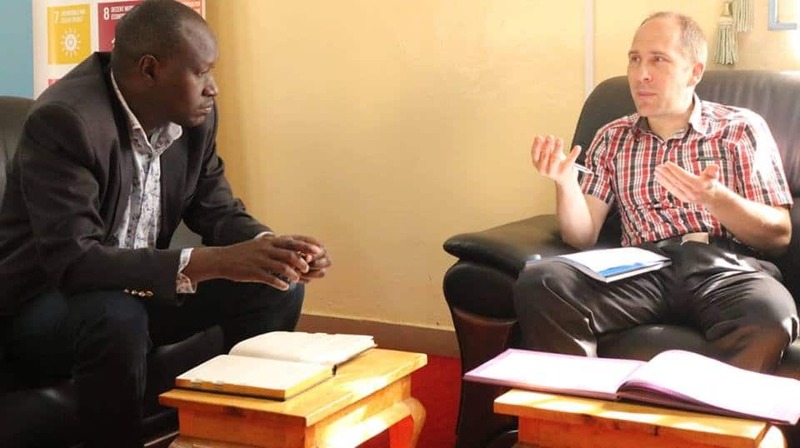 During the visit the Mr Baliach learned that a number of markets namely Gambogi, Kiboswa petrol stations do nor remit their revenue to the County Government of Nandi despite being located within the borders of the county. He noted that Clear administrative boundaries is very important as it encourages the local community to invest. Mr Baliach reaffirmed the counties committment on reclaiming the boundaries saying that it will remain as it was from many years ago. It also emerged that the local communities along the border are aware of where the administrative boundaries are. 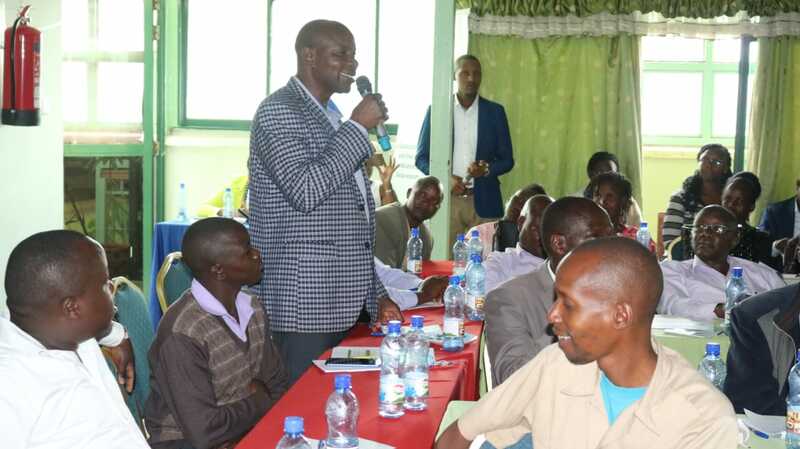 In to order to be close to citizens it is important to engage them in services that benefits them in their daily lives and in doing so the county government through department of Lands ,Water and Natural Resources came up with framework of ensuring that citizens own the water projects in their areas. The team from the department lead by HR Kerich and Tindiret Sub- County Administrator Mr Talam visited Tindiret Ward where they supervised the election of committee members for Tulwomoi, Sigowet and Chemamul Water Projects. The committee members comprises of Chairman, Secretary, Treasurer, PWD’s rep Youth rep and one Member. 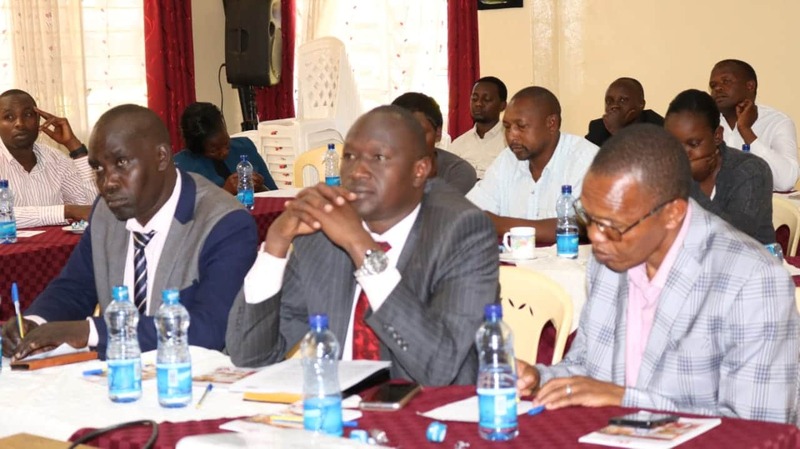 Present also were Tindiret MCA Hon Kipkurui Chepkwony and County and Sub- County Water Oficcers. 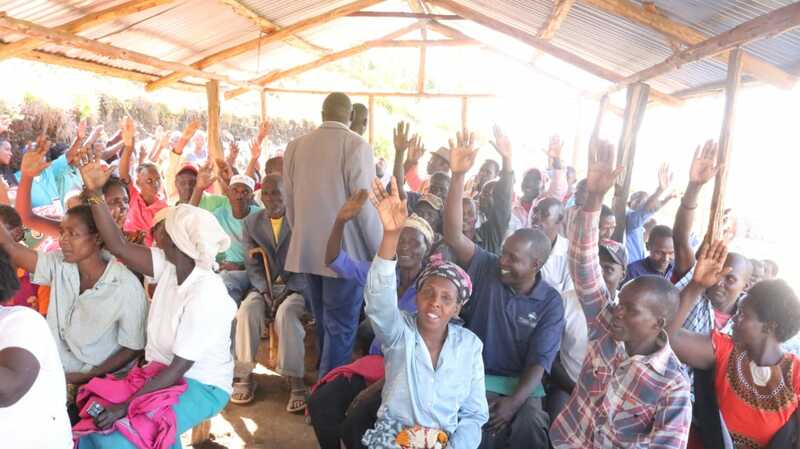 In order to encourage the community to own the projects done by the County Government it is important to involve them at all stages. 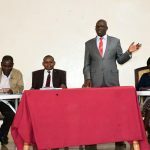 County Government of Nandi, through The Department of Lands, Environment, Natural Resources and Climate Change has seen the need to transfer monies as grants to semi autonomous government agencies (Sagas) for programmes and projects which could otherwise be direct responsibility of County Government. Currently the department is visiting 6 Sub Counties with an aim of recruiting committee members comprising of more than 9 members who shall be gazzetted by the County printer. Supervision, Monitoring and Evaluation of the planned projects and programmes shall be done regularly by the Department. 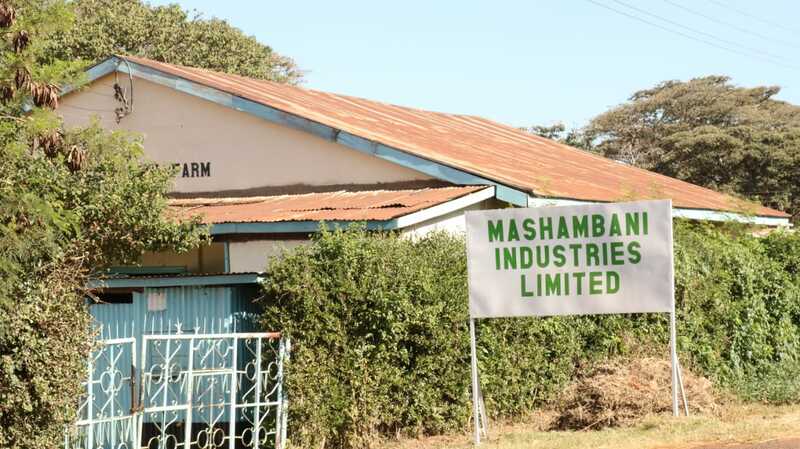 Projects implemented under this policy shall be audited and reported on by the auditor General as provided by article 229 of the Constitution of Kenya. The County team led by Sub County Water officers have so far visited Aldai, Tindiret and Chesumei Sub Counties. County Water Master Plan being developed by County Government of Nandi in partnership with Water Sector Trust Fund will play a key role in provision of clean and adequate water to the community. 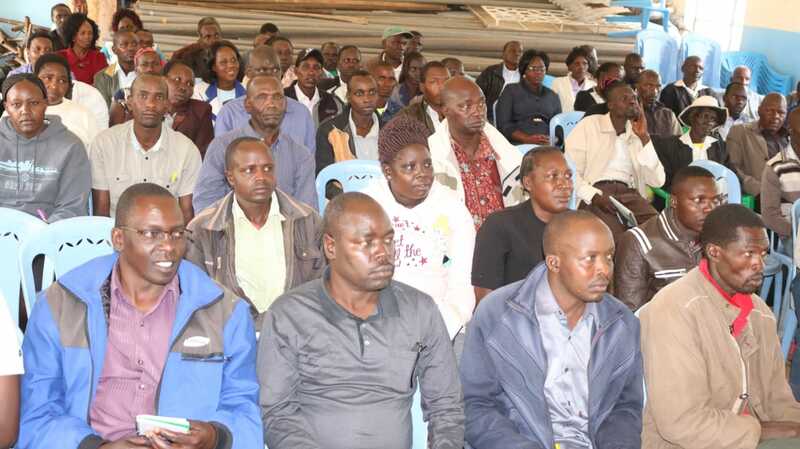 The plan which is being reviewed by officials and stakeholders of various water utilities across the County is reviewing a number of key areas including population of Nandi, Agricultural and Industrial activities to be undertaken, Forest cover, Management and sustainability of water projects. Objectives of Water Master Plan is to increase water coverage across the County, reduce distance covered to get portable water, ensure conservation and protection of natural resources and to also make maximum use of 2500 ha of land to be irrigated. Currently, only 250 ha of land is being irrigated. CECM LENRCC Mr. Baliach emphasized on the need to have a comprehensive plan. 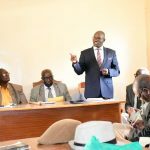 “The plan should give a clear picture of water sources available in Nandi to ensure continuity and longevity of our water projects” he said. WSTF will soon commence the second phase of funding a number of Water projects including Lelmokwo, Kimng’oror, Kimatkei, Cheptil and design of Kobujoi water projects. 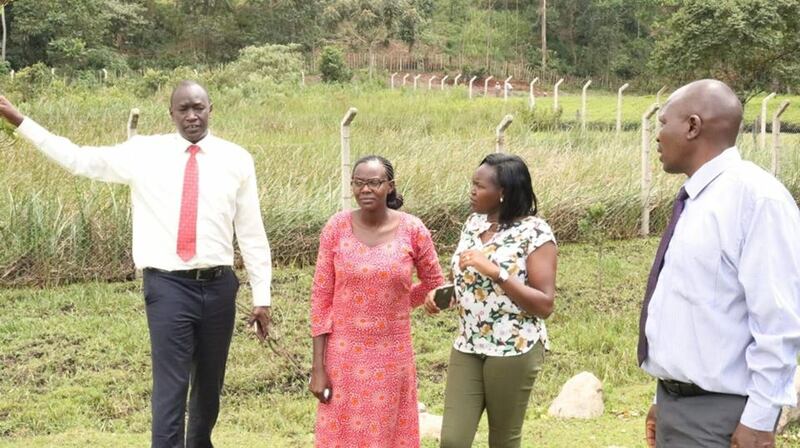 A team from Kenya Water Towers is in Nandi to interact with the community who are to benefit from improved livelihoods along Kibirong and King’wal wetlands that will soon be gazzetted as water towers. The team led by Madam Vicky, will develop a document on Community development action plan bearing in mind the views of the community, how best to improve their livelihoods, economic activities to practice for instance bee keeping, carpentry, beehives made from bamboo and tree nurseries. So far, Kamenjeywo, Kibirong wetlands stewardship and Jubilee youth groups have already been trained on vegetative propagation. Bamboo can be used to make toothpicks,charcoal, Furniture, Paper among others. CECM LENRCC Mr. Baliach urged the community to embrace plantation of bamboo. “Not only is bamboo eco friendly but it also boosts the livelihoods of the community after selling the finished products” he added. Chief Officer Mr. Mang’ira asked KWT to carry out extensive research in order to know the varieties that do well in Nandi. An acre of land can have between 185 to 200 giant bamboo seedlings to be planted and mature in 5 years time.